-Rolled sleeve- The rolled sleeve is in a relaxed roll up. 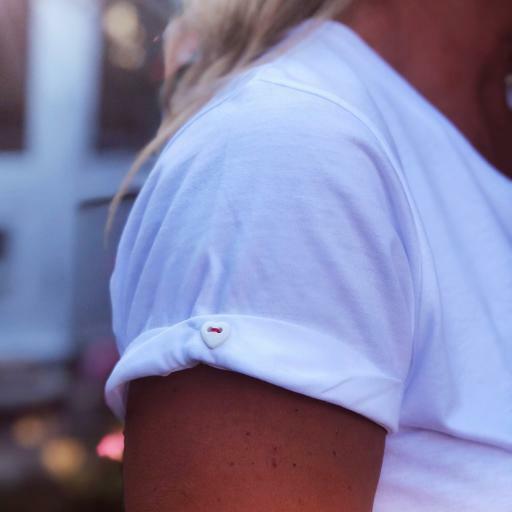 All t-shirts come with a cute white heart button on its sleeve. _ You can chose any other colour thread for the text.